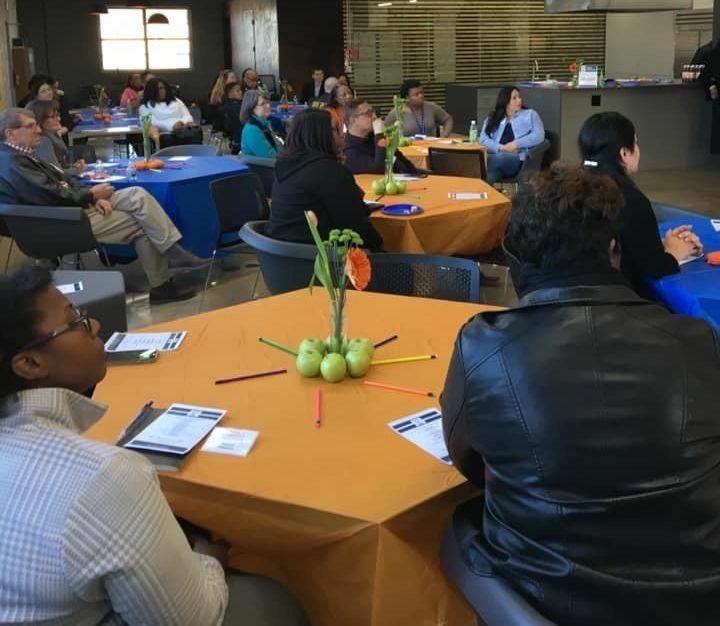 The After8toEducate Collaborative invited Dallas Independent School District administrators, teachers, counselors, Dallas ISD police, and other staff to preview the drop-in center at the Fannie C. Harris Youth Center on March 5, 2019. During the event, After8toEducate Executive Director Hillary Evans introduced the Collaborative and shared the vision for the Fannie C. Harris Youth Center. Ashley Marshall, Manager/District Homeless Liaison for Dallas Independent School District , described the high number of homeless students in the District and how this new Center will bolster Dallas ISD's existing drop-in centers to serve these students. CitySquare TRAC Director Madeline Reedy informed attendees of current drop-in services at TRAC and outlined the drop-in services and programming at the Fannie C. Harris Youth Center. Tasha Johnson, Director of Residential Services at Promise House , described Promise House's programs and elaborated on the future residential component at the Center. 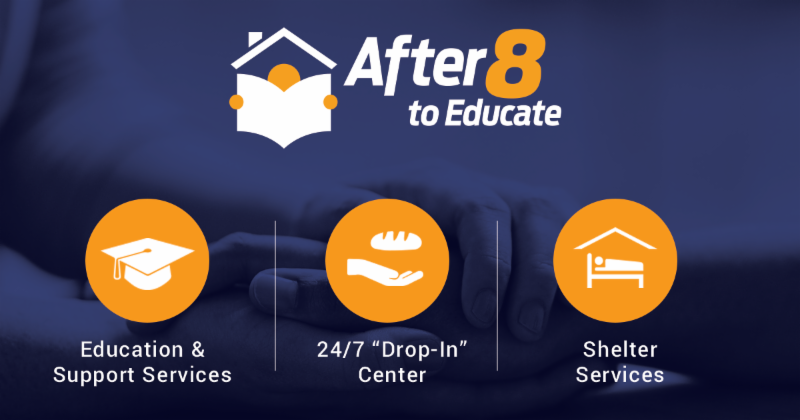 After8toEducate's Site Manager Billy Lane and Project Coordinator Lydia Dubose revealed the Center's outreach materials that Dallas ISD schools will distribute to students. These wallet cards and posters will inform students who are unsheltered or at risk of homelessness about the Fannie C. Harris Youth Center. The evening's events concluded with a tour of the drop-in center. Attendees included educators and staff from 13 high schools, other middle and elementary schools, and several officers from Dallas ISD Police. Nearly 1,500 wallet cards and 40 posters were distributed at this event! The National Network for Youth hosted its 6th annual National Summit for Youth Homelessness on March 18-19, 2019 in Washtington, D C. More than 250 attendees coming from all over the United States learned about how government agencies, foundations, policymakers, young leaders, service providers and other experts can partner together to prevent and respond to youth homelessness. Conference speakers included individuals from the U.S. Department of Education , Schultz Family Foundation , National Safe Place Network , Schoolhouse Connection , National Center for Homeless Education , The McCain Institute for International Leadership , U.S. Interagency Council on Homelessness , Chapin Hall at the University of Chicago , Department of Housing and Urban Development , and others. After8toEducate Executive Director Hillary Evans attended the Summit to bring back best practices and connect with other service providers and stakeholders from across the country. Young leaders, who experienced homelessness, had a strong presence and role throughout the conference. Together they advocated for more youth shelters, greater access to health care, more resources in rural communities and elimination of legal barriers. The conference also offered opportunities to meet with congressional leaders on legislative priorities and hear from key federal agency officials and national experts on addressing youth homelessness system-wide. Earlier this month, community volunteers participated in the installation of five raised garden beds at the Fannie C. Harris Youth Center. Elizabeth Dry, CEO of Promise of Peace Gardens , led this installation of organic herbs and vegetables. Volunteers included Dallas Police Department's Sergeant Bridget Wilson-Jones and other Jubilee Park StoreFront Police Officers, Texas A&M Commerce Social Work students, and others. 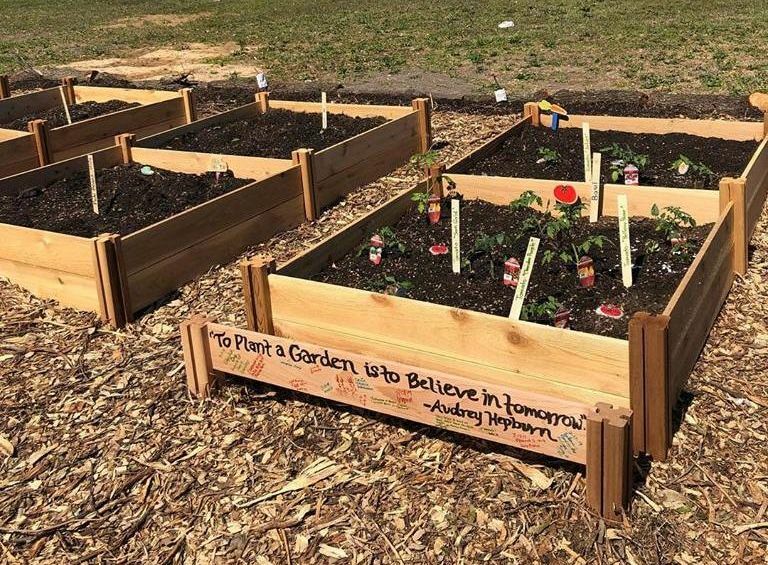 This garden, funded by the City of Dallas GrowSouth Neighborhood Challenge Grant, is intended to teach youth at the Center about gardening, healthy eating and serve as a therapeutic outlet for youth in crisis. After8 looks forward to engaging more community volunteers to assist with the garden's sustainability. After8 is excited to launch Illumin8, an interior design thinking challenge supporting DISD unsheltered high school youth. 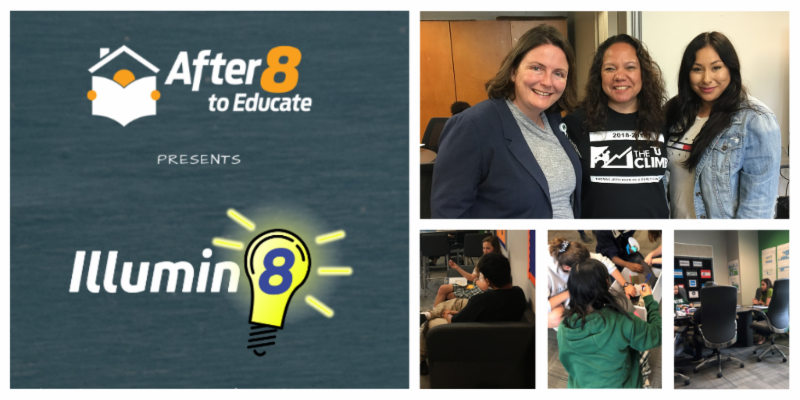 The first session of the Illumin8 project convened on March 28 at Thomas Jef ferson High School. After8toEducate staff, together with Laura Day, executive director of the Institute for Social Impact at The Hockaday School along with Dr. Raquel Galvan, assistant principal and Cecilia Rivas, parent instructor/community liaison of Thomas Jefferson High School , identified a select group of students from their respective schools to participate in this design challenge. This 4-week challenge provides these students with the opportunity to learn the design thinking process while designing two spaces at the Fannie C. Harris Youth Center. At the culmination of the design thinking challenge, these students will have the opportunity to pitch their prototypes to a panel of Dallas area leaders at a "Shark Tank" style event in May. On March 12, an anonymous donor provided After8 with time, energy, and resources toward the clothing closet at the Fannie C. Harris drop-in center. The donor generously donated and installed an Elfa Storage System. This space will be home to a satellite location of Carter’s House at the Center. "Carter’s House provides children, youth, and teens in Dallas County with no-cost quality clothing and Standardized School Attire (SSA) to improve their school attendance and overall confidence." 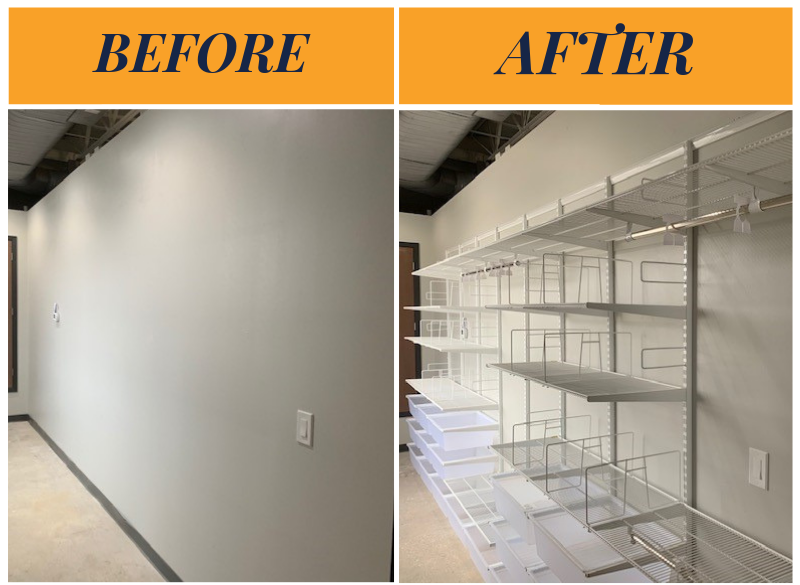 The clothing closet at the Fannie C. Harris drop-in center will include emergency clothing and school uniforms for unsheltered Dallas ISD students ages 14-21 and other homeless youth. 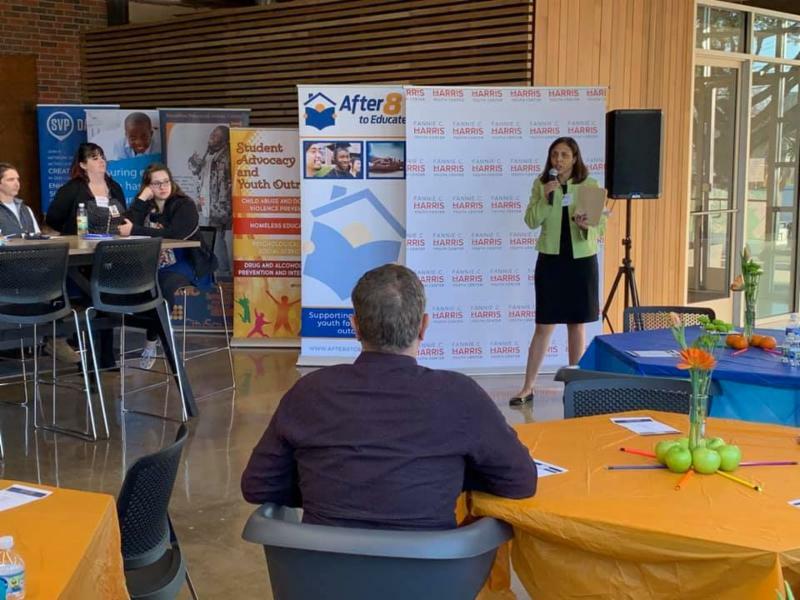 The Metro Dallas H omeless Alliance (MDHA) held the 5th annual State of the Homeless Address at Goodwill Industries of Dallas on Thursday, March 14, 2019. 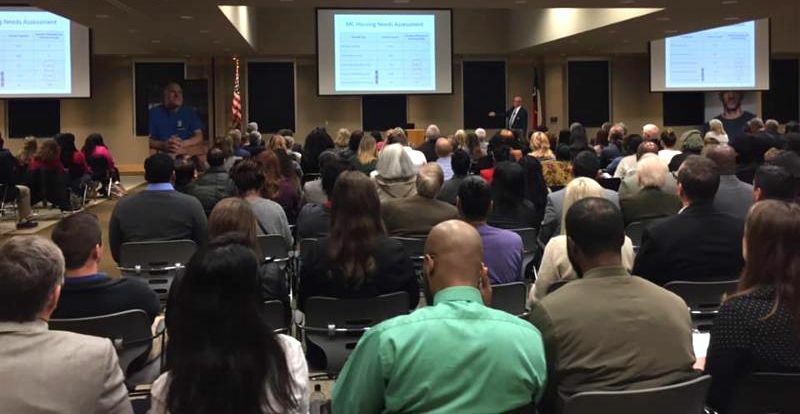 During this address, MDHA President and CEO Carl Falconer presented the results of January's annual homeless count and a thorough system analysis of the homelessness response system in Dallas. Results showed a 9% increase of homeless individuals since last year and the greatest increase in those ages 25-44 since last year. The number of homeless veterans showed an increase and data included an increase in chronically homeless individuals by 11% since 2018. The State of the Homeless Address also included a brief overview of the See Us Now 2019 youth count survey and a snapshot of data collected by Family Gateway regarding families experiencing homelessness. 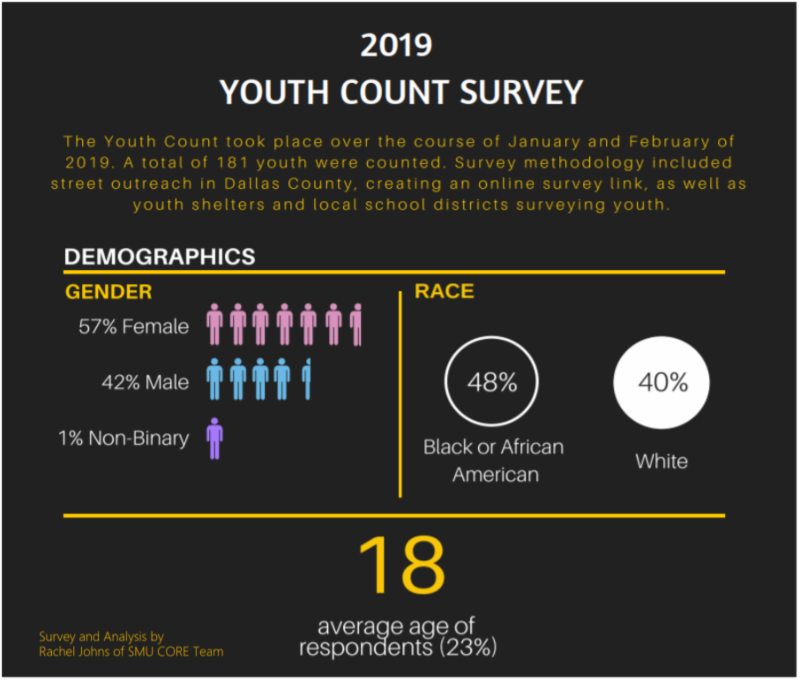 The youth survey included data from 181 youth in Dallas county, revealing that most unsheltered youth are female, Black or African American, and an average of 18 years old.